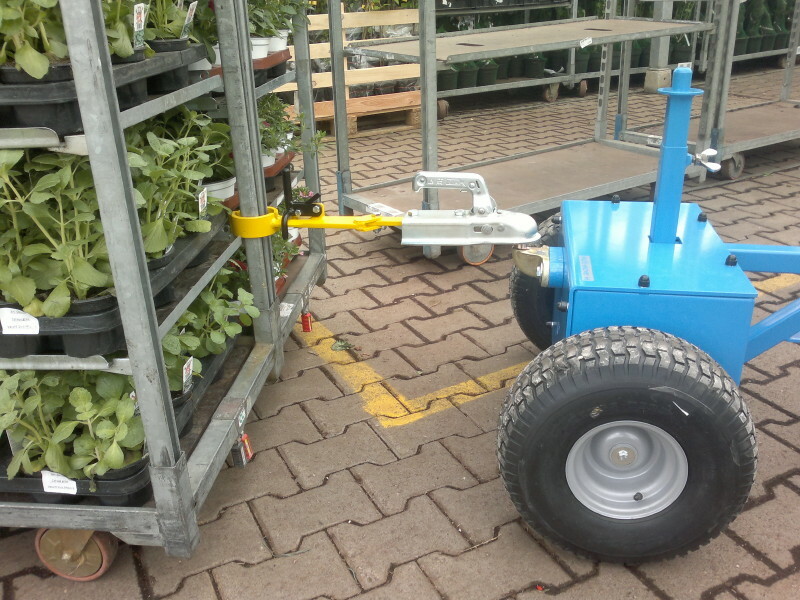 The Multi-Mover M18 electric powered trailer dolly is a simple and inexpensive tow tug. We produce this model since 2006. Shunting trailers made easy, have a look at the video and pictures. This model is ideal for moving trailers, horse boxes and other twin axle trailers up to 1800 kg. Most of the weight of the trailer comes on the top hitch of the M18 so this machine does not need to be made so heavy to have enough traction. There is also a shorter version M18 available. Always supplied with 2 batteries (in the drive box), external charger, jaw, ball and cone coupling. There are some options to choose from.